Can you believe that I have never did a Harry Potter themed craft yet? I do have some Harry Potter inspired printables, but I have never actually made a craft! 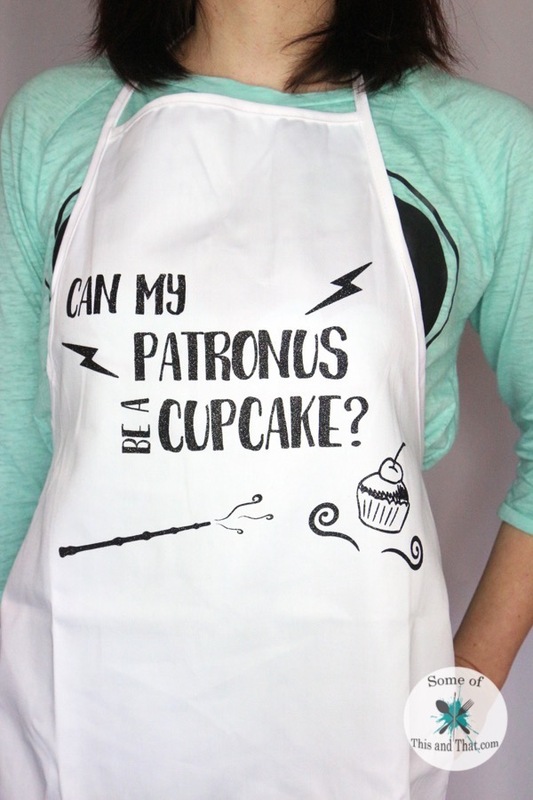 Well, today I am changing that and showing you how I made an adorable DIY Harry Potter Apron! I used glitter heat transfer vinyl, but you can make it any color, or multiple colors! I thought that the glitter vinyl gave it a little more magic. I absolutely LOVE how this turned out! I made a canvas apron, but this would also make an adorable print for your kitchen as well! If you want to get really crafty, you can make your own DIY Apron and than put this decal on it! 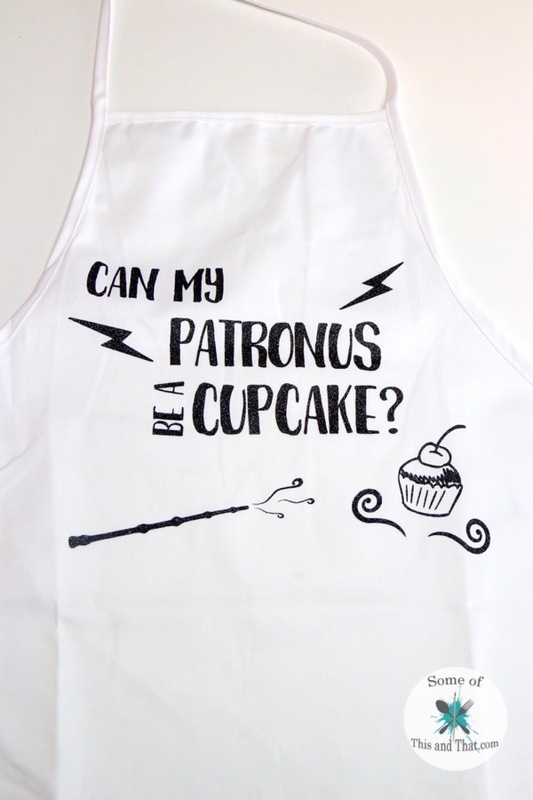 To learn how to make this DIY Harry Potter Apron check out the video below! To grab the template use the download button below! 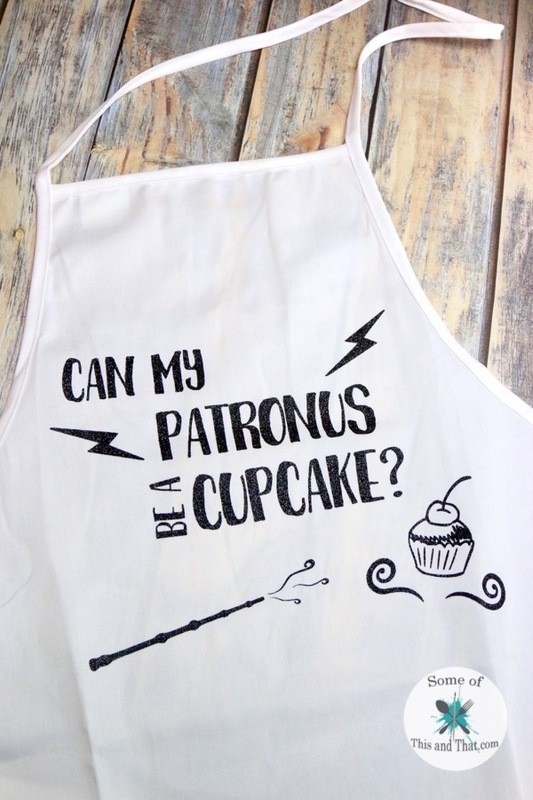 Are you a fan of Harry Potter? 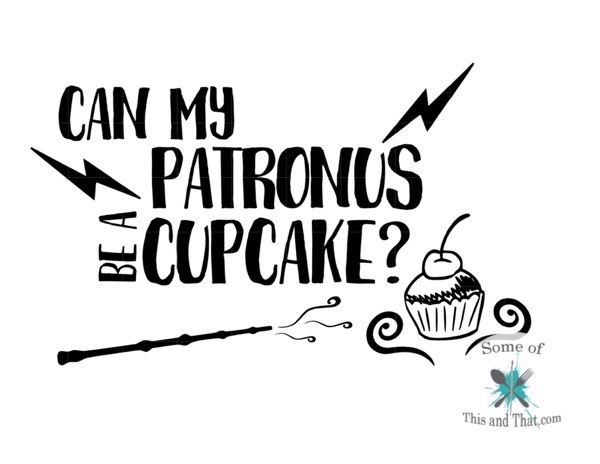 If so, what would your Patronus be? Be sure to check out all of our other Nerdy crafts, and subscribe to our YouTube Channel to be notified when we put out new videos! Items used in this project! Previous Post: « Free Yellow Argyle Planner Stickers!